The Center for Medicare and Medicaid Services ranks among the most popular sources of health care financing for Americans, but time and again individuals seek to take advantage of this resource for their own personal gain. These individuals, acting only for self-profit, raise the price of health care for the remaining program subscribers, largely the elderly and poor. 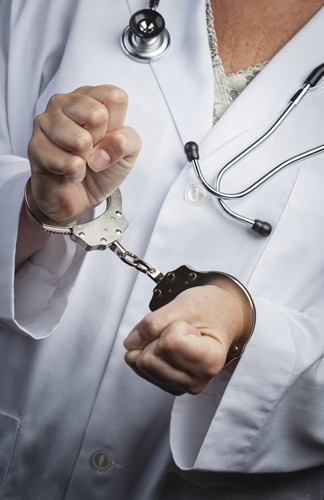 This week, the Medicare Fraud Strike Force charged 90 individuals in six cities for allegedly participating in Medicare fraud schemes involving roughly $260 million in false billings. According to a U.S Department of Health and Human Services press release, the defendants are believed to have participated in a plan to submit Medicare claims for treatments that were medically unnecessary or were often never even provided. One Los Angeles doctor was charged fraudulent billing practices that resulted in over $24 million in losses to Medicare. The doctor charged for over 1,000 power wheelchairs and home health services that he never provided to patients. "The Affordable Care Act has given us additional tools to preserve Medicare and protect the tens of millions of Americans who rely on it each day," said HHS Secretary Kathleen Sebelius in the press release. "By expanding our authority to suspend Medicare payments and reimbursements when fraud is suspected, the law allows us to better preserve the system and save taxpayer dollars. Today we're sending a strong, clear message to anyone seeking to defraud Medicare: You will get caught and you will pay the price," Sebelius warned. Since its formation, the Medicare Fraud Strike Force has charged over 1,900 defendants who collectively falsely billed Medicare for approximately $6 billion. While the Task Force continues to search for Medicare abuse, the health care industry is working on managing the cost of care. If your healthcare claims administration is unable to handle a backlog of accounts receivable, reach out to Professional Medical Services. Our team can process your pool of at-risk accounts, saving time so your staff time can focus on high-priority accounts.